The True Story Of The Hanoi Hilton | Stoat – Where? When the Imperialist American Aggressors took to the skies to bomb North Vietnam into submission and attempt to break the Peoples’ spirits, the People, encouraged by our glorious father Ho Chi Minh, did not buckle but instead worked twice as hard to defeat the invaders. Thousands of Imperialist planes were shot down and hundreds of pilots captured, and Hoa Lo Prison, where we stand today, was their home until the end of the war. 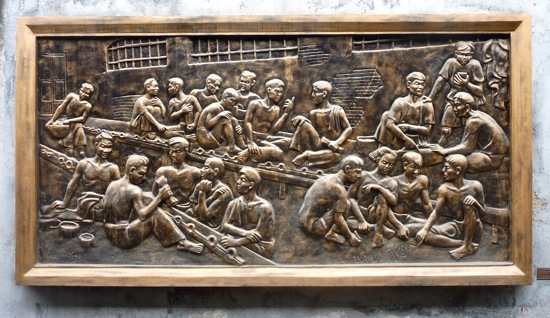 It was here that they rested and recuperated in good comfort and good health until the Vietnamese Peoples’ glorious victory whereupon they were sent home to their families with smiles on their faces. Many people are confused when they hear the name Hanoi Hilton and think that the pilots were being sarcastic. They were not. When pilots were captured, the local People were very angry and wanted to kill them for bombing their families with Imperial Aggression. However, the leaders of the glorious revolution benevolently interceded and graciously housed them here where they were safe from the People. 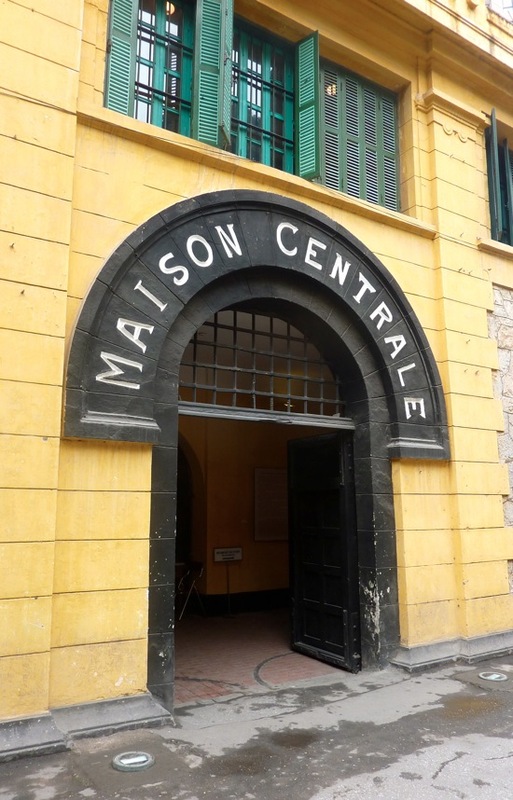 That is why the pilots called this place the Hanoi Hilton – because it was a place of safety and comfort, like a hotel. Only those who tried to escape were punished like the cowards they were. Mr Senator John McCain, who challenged for the presidency in USA was here and he wrote a book saying terrible things. He is confused. After all, he visited again in 2000, so he clearly had fond memories. Pete Peterson, also housed here, married a Vietnamese woman and became American Ambassador to Vietnam. Why else would he do that unless he loved this place? 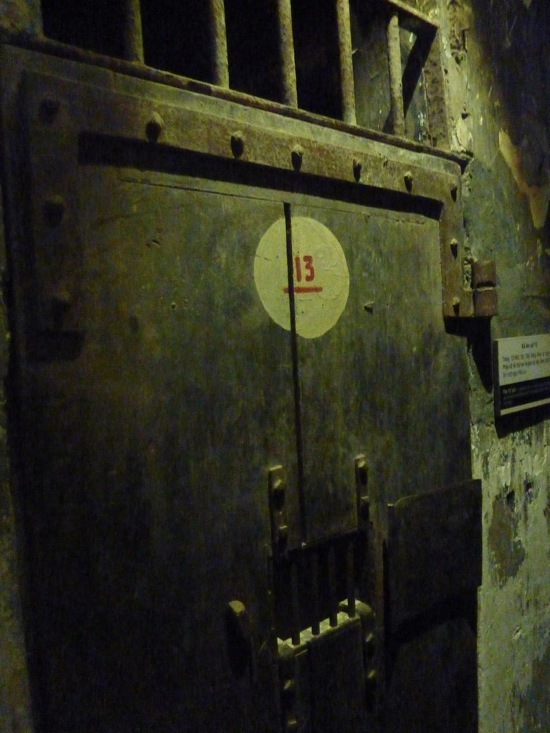 It is true that this prison was the site of many horrors for the intellectuals and brave People of the revolution, but that was when the French were in charge. During this time dozens of revolutionaries managed many brave escapes to continue fighting the Peoples’ fight. But it should be stated in no uncertain terms – American servicemen, despite the pain and injury they had inflicted on innocent People as part of their illegal war, were treated with the utmost care and respect. Any other account is inaccurate and sullies the good name of Vietnamese hospitality. 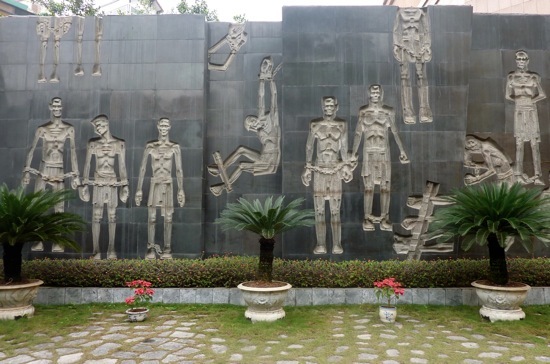 Goebbels would have been proud of the propaganda efforts of Hoa Lo Prison. Thanks for the constructive feedback! For the flipside of things from later in the trip, feel free to read http://jamietalbot.com/2011/03/20/what-is-it-good-for/ and insult me there too!